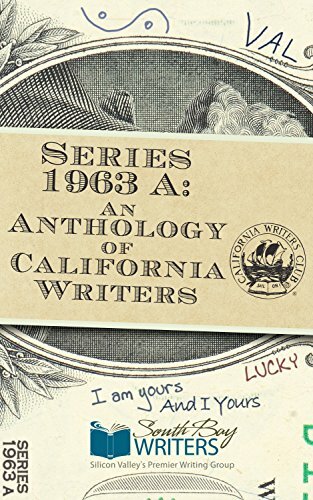 T-shirt writing inspiration from Keef Knight! 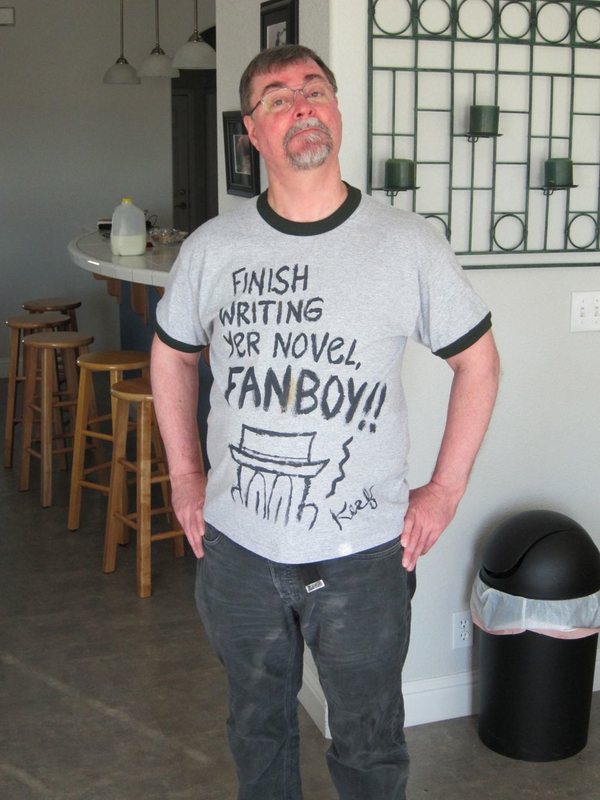 Keef Knight of the K Chronicles put this custom message on a t-shirt for me, a message I need to heed: “Finish writing yer novel, FANBOY!” When I tuck it in, it looks like Keef is peeking out from my pants. Ooo, my editor was busy! She made a lot of comments on my story. And good comments. Such as tone down a character’s behavior to keep him from becoming unlikable, and add more visuals, and does the barber really need to be staring at Holly’s chest? It was money well spent. I think I’ll be migrating my weebly site to this one later this month. Really, this site is up for only a day and I get a follower? I have to get used to using wordpress. I’ll warn when I migrate, since I might copy several blog postings, and that might mean several emails. My new blog and website for my creative writing. I thought I should work with WordPress, since I think I’ll be able to edit it with my iPad.